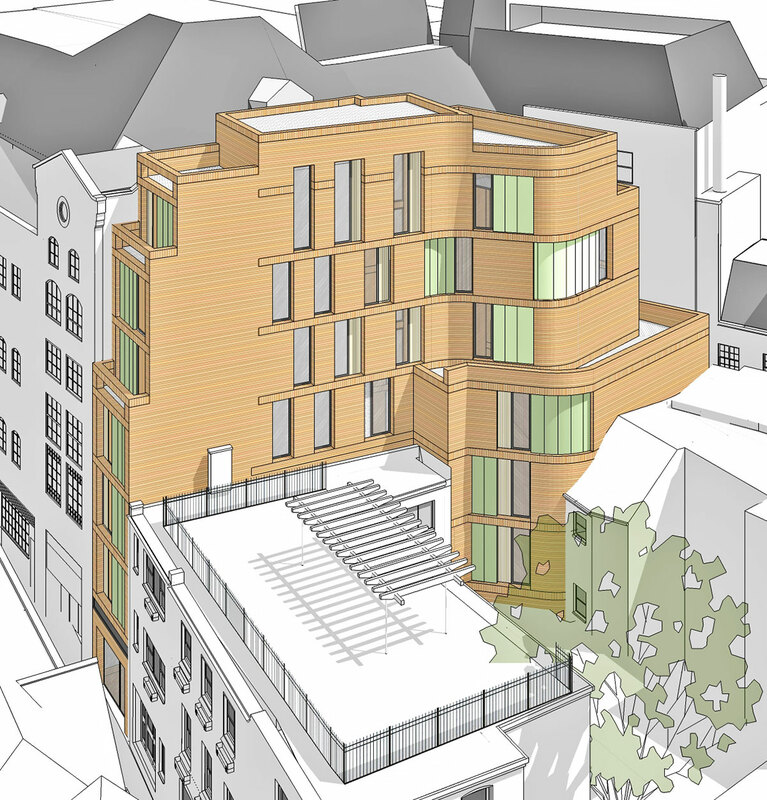 A new solution for a site right in the heart of Oxford’s central Conservation Area; a seven-storey sliver of student accommodation for the adjacent language school. 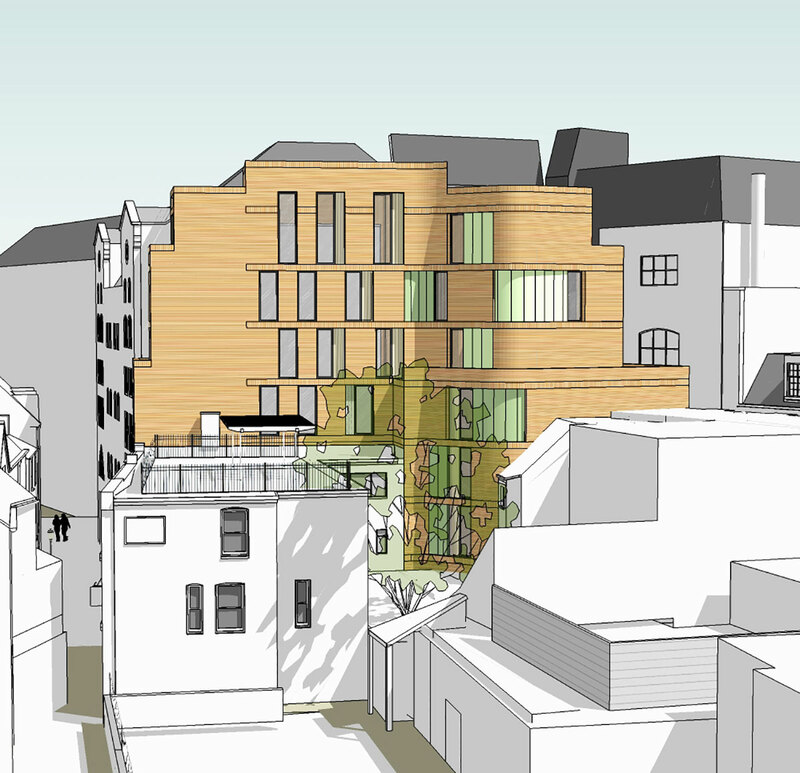 AJA had previously won planning permission for a block of luxury apartments on this site. With a change of ownership came new opportunities for a form which could overlap with the neighbouring building and bulge and step. 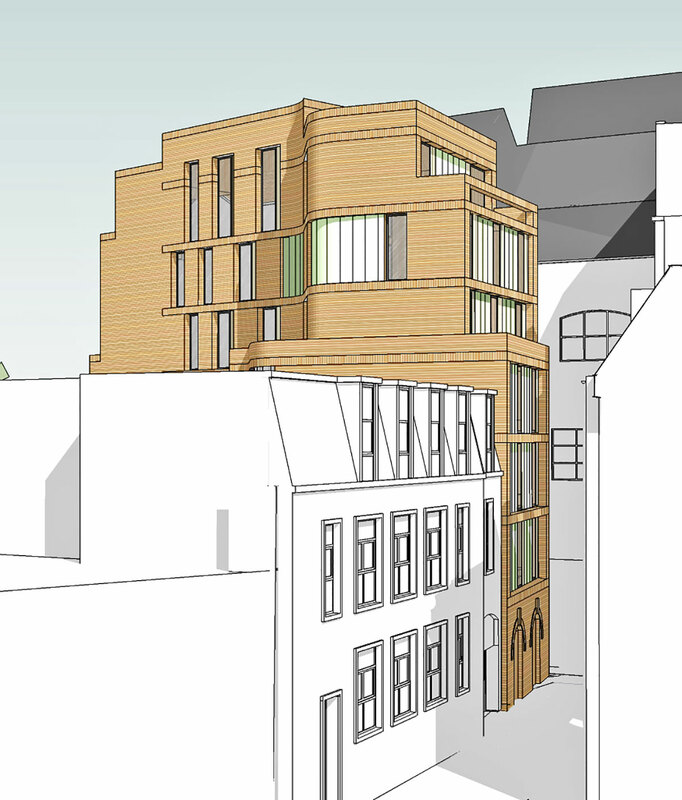 The resultant highly modelled shape containing 29 en suite student rooms won the approval of the Conservation officer and the planning committee.